If you’re looking to introduce a smart speaker into your home, you best think long and hard before settling on where to place it. Because once you set it down, you’re not really going to be able to move it — that is, not unless you’re fine with the marks that the speaker will leave in its place. 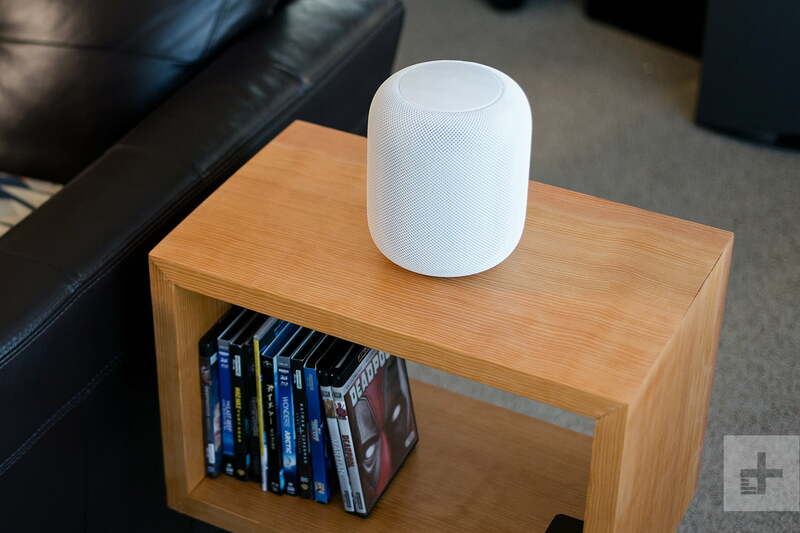 There are now a number of reports claiming that Apple HomePods, Sonos One speakers, and even Amazon Echo devices are leaving white rings on their furniture, marking their territory, so to speak. While that is fine while your smart speaker stays put, it can create quite the headache if you’re ever trying to redecorate or rearrange the contents of your home. Folks from WireCutter, Pocket-lint, and Mashable all found that the Apple HomePod left a distinctive white ring upon whatever surface it sat upon. And while the ring gradually faded over the course of a few days, it never entirely disappeared. And apparently, it didn’t really matter what the surface material was — reviewers found the same problem on wood as they did on stainless steel. A reviewer from Tom’s Guide found that the Sonos One speaker also left clear white marks on a wooden shelf. Again, the marks gradually became less obvious over time, but were still visible. The big difference between the Sonos One and the HomePod, of course, is that the former stands upon four feet and has a square shape, whereas the Apple device is circular. But all the same, unless you’re keen on having a geometric stain on your countertop or shelf, it doesn’t really matter what shape these speakers take — they’re still leaving marks. A Twitter user also noted that he saw similar white rings when he placed his Echo Dot on oiled wood. However, he managed to erase the marks by re-oiling the wood and placing a cork coaster under the Dot. An elegant solution, to be sure, but perhaps not one that works for larger devices. Apple acknowledged the harsh reality of the rings, and says that the problem is due to “oils diffusing between the silicon base and the table surface.” To fix the marks, the company has recommended cleaning the affected surfaces with the manufacturer’s suggested oiling method. As for Sonos, the company says that it never encountered the issue before. In a statement to Mashable, Sonos noted, “This is the first time we are hearing about this. We’re investigating.” The DT team has reached out to Amazon about the Echo Dot marks, and will update you when we hear back. In the meantime, you can protect your home surfaces by purchasing one of the many HomePod-specific coasters now being pushed to market. For example, there is the Leather HomePod Coaster from Pad & Quill, which is exactly what it sounds like. A leather coaster that is just the right size for your HomePod (made with full-grain U.S. cowhide with a pigskin underside). Or, for the more enterprising among us, there is the option of 3D printing your own coaster. You can download the instructions for the coaster for free but obviously will have to provide the materials yourself.